If your car isn't running right, we can help. Through our state-of-the-art 'Autologic' computerised diagnostic service we can instantly highlight and isolate issues with your car's Vehicle Engine Management system, fuel system and ignition system to ensure that your car is fault free and runs smoothly. Autologic is a dealer-level diagnostic solution for specialist brands, providing complete coverage of all the vehicle systems. The unique functions of the Autologic system include coding and flash programming. Best of all, our prices start at just £19.90. We think that means that we offer the lowest priced engine diagnostics in Bradford, Shipley and surrounding areas. As vehicle electrical systems become increasingly complex and more critical to the successful operation of the car, it is vital to check performance on an ongoing basis. This should be done every two years, or whenever the car is serviced, for any type of driveability problem. 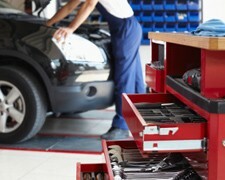 If you’re having issues with your car, just call us on Bradford 01274 794991 and speak to one of our experienced team.